Sunrisers Hyderabad won the match by 1 wicket. 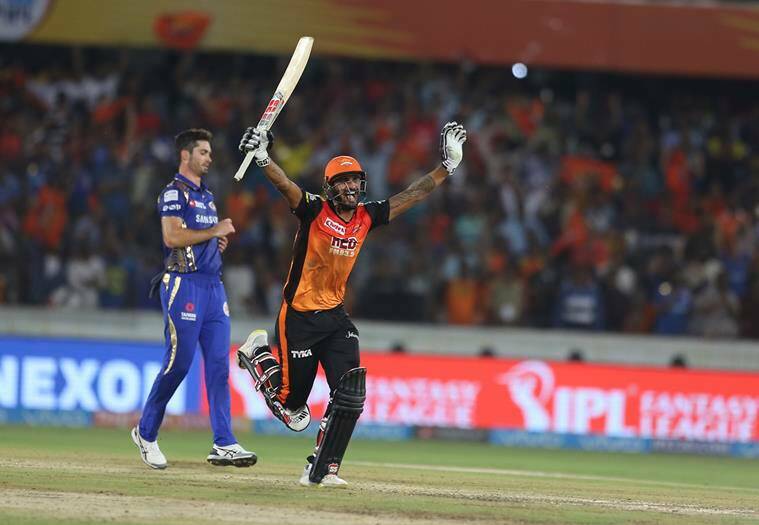 Sunrisers Hyderabad won the match by 1 wicket against the Mumbai Indians at Rajiv Gandhi International Stadium, Hyderabad in a breathtaking last over finish. Rashid Khan was awarded the Man of the Match for his wonderful, exceptional bowling that restricted Mumbai to put a heavy target on the board. Team Circle of Cricket gets down to list the 5 talking points of the match. Click on the links to get onto the next page. The captain of Mumbai Indians Rohit Sharma had another collapse while batting. He just only managed to score 11 runs for his team which is somewhat a very bad sign for him and his team. A captain is supposed to lead his team from the front but Rohit Sharma is been falling early in the matches. Earlier with Chennai also he went back early in the pavilions after scoring just 15. Mumbai needs to have a check on his batting position so that he can play freely. Since the start of the tournament, the batsman has not looked going. Rashid Khan bowled very beautifully in the match after conceding just 13 runs for his 4 overs plus one wicket. He has shown some content why he is the no.1 T20 bowler in the world. The 19-year-old cricketer has exhibited a great amount of caliber through which he was named the Man of the Match. Being indispensable for Sunrisers Hyderabad he can surely win more matches for the team. His googly and leg spin both were delightful tonight. From the start of the second innings, Saha and Shekhar Dhawan were unstoppable as they pummel Mumbai Indian bowlers everywhere out of the park. 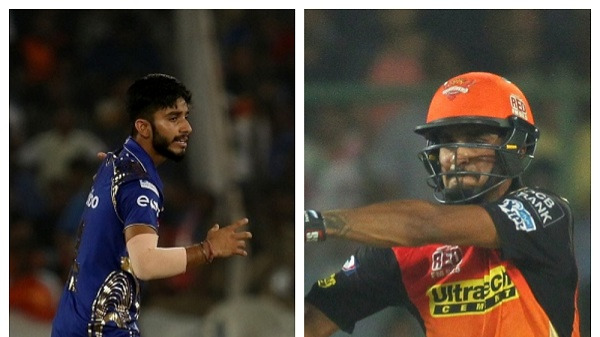 Both the openers smashed Mumbai for 63 runs for the first wicket partnership after Mumbai used their review correctly against Saha who was given not out by Nigel Llong since then Hyderabad kept on losing wickets and the match came to a dramatic end. 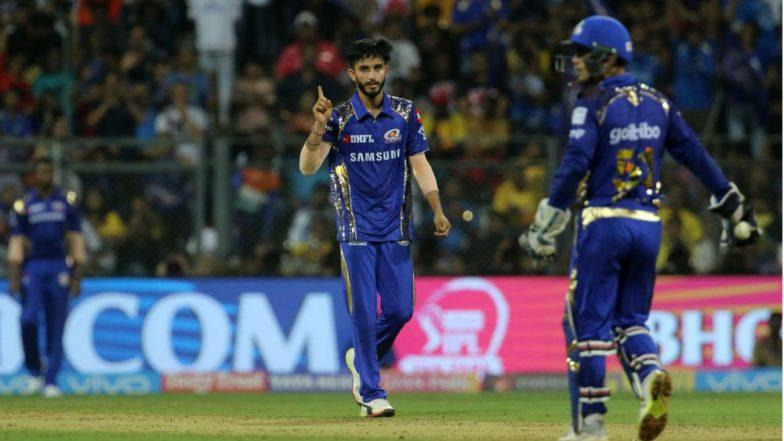 Mayank Markande was the star bowler from Mumbai Indians as he took 4 wickets against SRH. Markande had bowled exceptionally well but unfortunately, the match did not go in Mumbai’s favour. Markande who is playing his second IPL match has already created a sense of terror through his bowling. He has also grabbed the purple cap for the most number of the wicket as of for now in the tournament. Till now he has taken 7 wickets in the league and looking more dangerous than ever. He is actually the real find of IPL 2018. The 18th and 19th over were the double wicket overs for Mumbai as Jasprit Bumrah and Mustafizur Rehman had taken two wickets respectively in their overs which looked to change the course of the match. 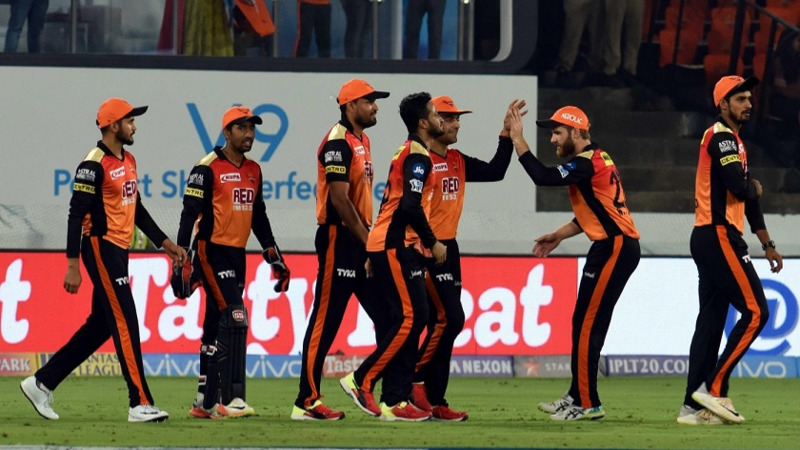 The duo had managed to ask Hyderabad 11 runs in the last over but Deepak Hooda’s first ball six made it more easy for SRH to clinch victory in a nail-biting match. Mumbai Indians bowler did a great job for their team but we feel the target set by their batters was easily chasable. In the last three overs, Sunrisers wanted 15 runs but some extraordinary performance by Fizz and JB made it look impossible for Sunrisers of Hyderabad. With 11 needed from the final over bowled by Cutting, Hooda smashed a six of the very first ball followed by a wide delivery from the bowler to make it easier for SRH. A huge credit should be given to Billy Stanlake for scoring the winning run on the last delivery. This kind of super exciting and stirring matches are expected from Indian Premier League, as they say only best can compete from the best. This is the beauty of Indian Premier League.